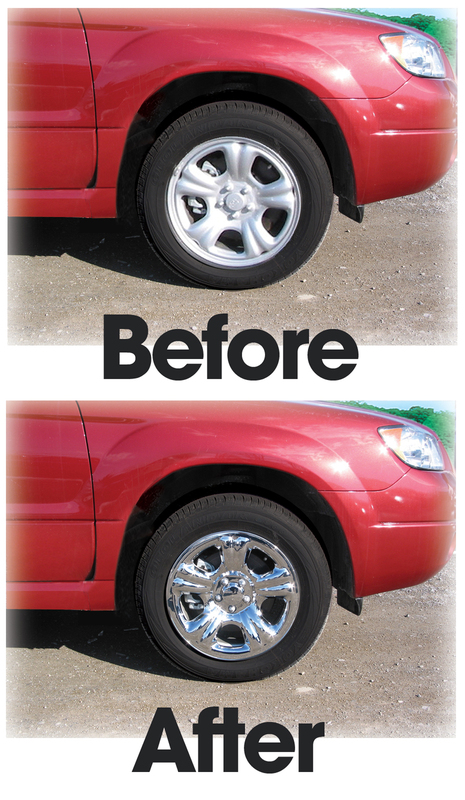 Your Original Wheels Must Look Like the Wheel Pictured to Allow for A Correct Fit of the Wheel Skin. 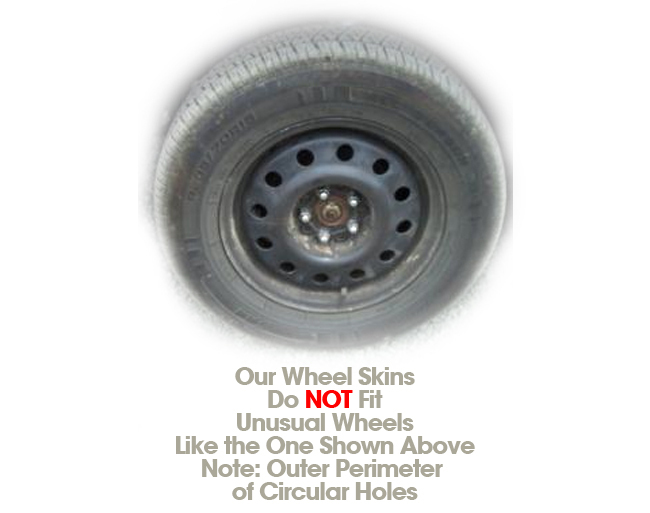 Unusual wheel configurations will not accommodate proper installation. The Subaru Forester XL (or LX) Model is a base model that comes with a painted steel wheel instead of the usual cast aluminum wheel. With the addition of our Wheel Skins, you can create the appearance of a very dressy chrome wheel without the expense. 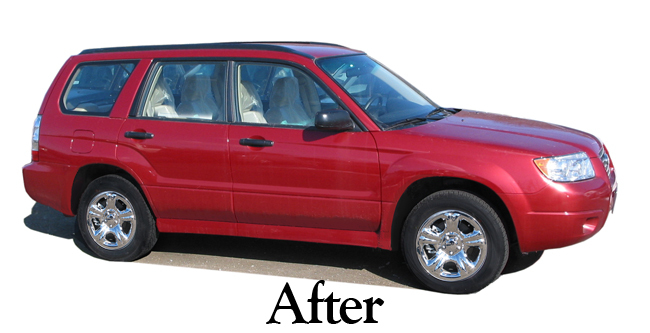 These 16" XL Model Wheel Skins fit 2003-2006 Subaru Forester. 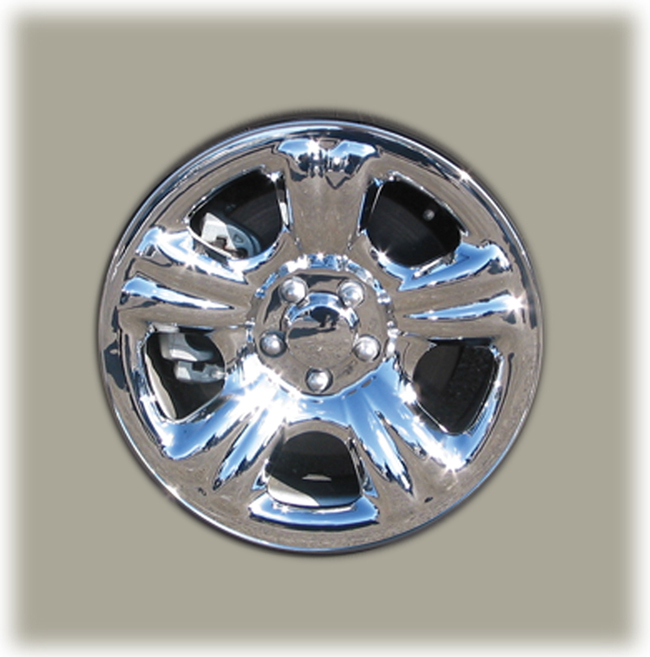 They are made of ABS plastic with a chrome finish. 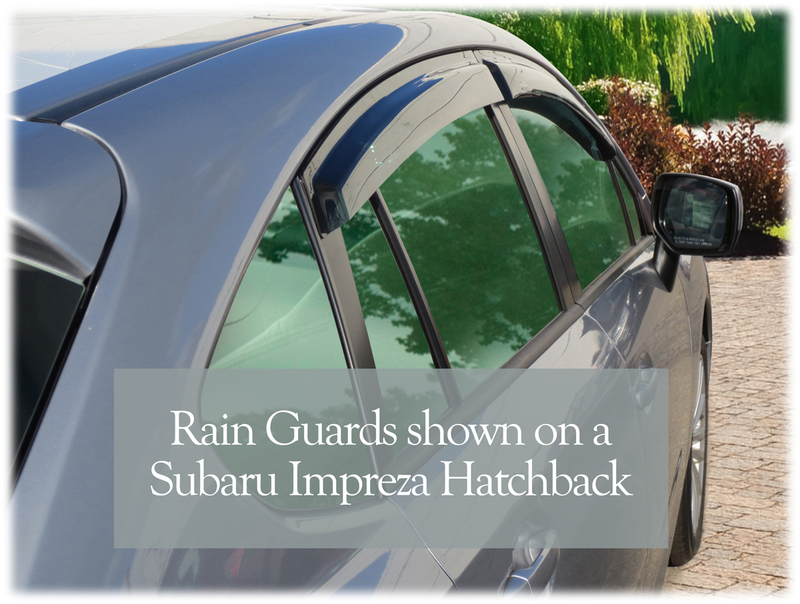 They are easy to install with built-in clips that attach to the wheels. Price includes four Wheel Skins. I've had these for about a month and so far I couldn't be happier. 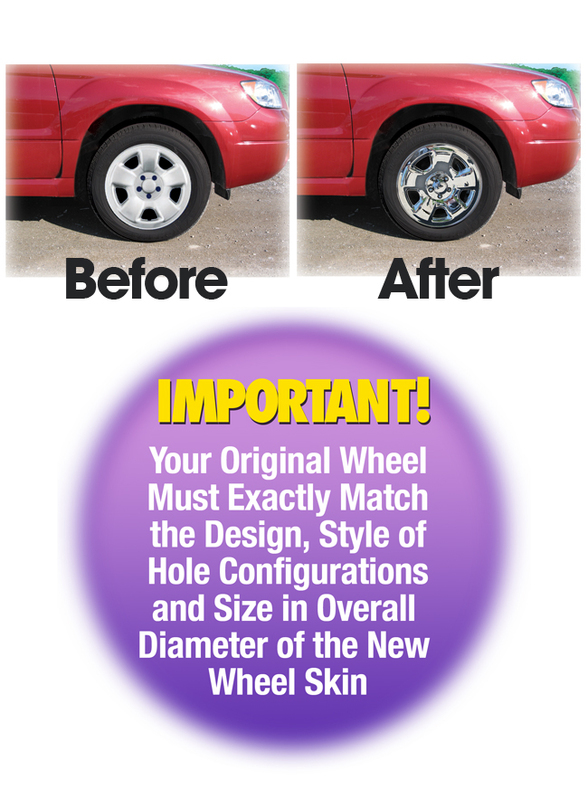 A couple things that are not obvious from the ad: the Wheel Skins have holes where they slide over the lug nuts, so you can take the wheel on and off without removing the cover. 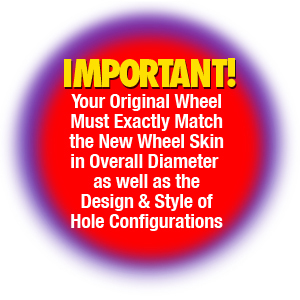 Also, there is a raised center portion that resembles a center cap, so the wheel is completely covered. I installed with no tools, just popped them on. Car looks great and much MUCH cheaper than buying new wheels. Quality caps that really dressed up the old ride! Definitely dressed up tired old stock wheels. Super easy to install. Had to rotate cutout for valve stem due to balancing weights on wheel interfering with clips but no biggie. You have to look hard to notice. Very lightweight so I question durability. Happy so far. 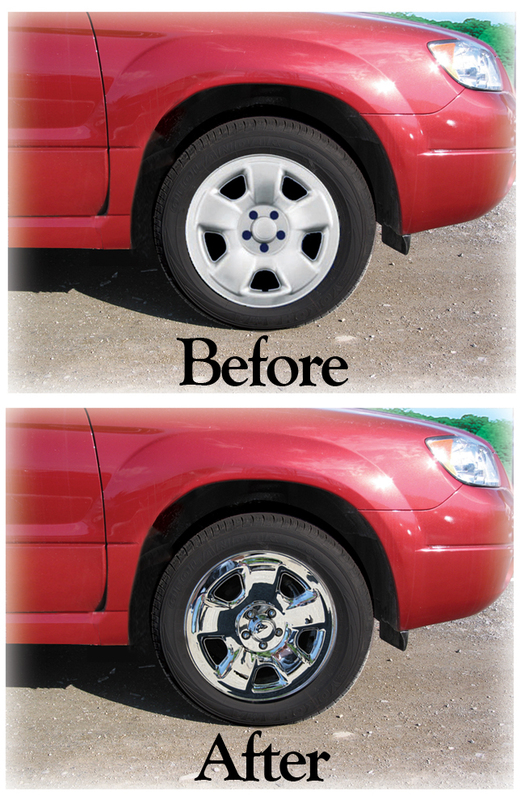 Your Original Wheels Must Look Like the 16" XL Model Wheel Skins Pictured to Allow for A Correct Fit of the Wheel Skin.